Managing important systems like wastewater for a commercial building is SOP, but managing it for an entire campus of buildings that houses thousands of employees is another matter . 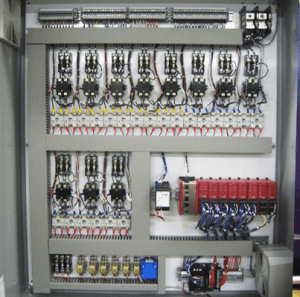 A large government facility contracted ECC to build and install a duplex pump control panel that would replace their old system. When the ECC team went in for the discovery phase what we we saw was not pretty. Old control panel components were falling apart and the wiring was rapidly breaking down. The existing wastewater system was still running off of mechanical floats and lacked redundant power feeds. It was an antiquated duplex pump control system, demanding constant upkeep and higher labor costs to keep it operating. It also posed a greater environmental hazard for the campus. 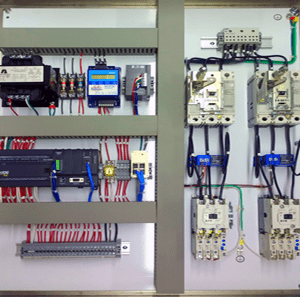 Electronic Control Corp. is a UL508A certified control panel shop. So we apply the highest design and installation standards, to ensure the duplex pump control panels we install function at peak performance. In addition, UL508A certification means that we follow stringent UL safety and reliability requirements, adhered to throughout the entire electronic control process. 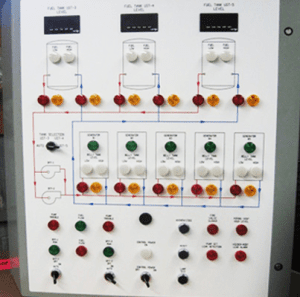 Programmable Logic Controller or Relay Logic? We provided our customer with two design options when engineering this system. The first was a programmable logic controller – PLC: a single powerful computerized module that reads inputs and controls outputs of nearly any type. The PLC programming software was written in-house by ECC programmers, custom tailored for each panel. The second option was to use a series of mechanical relays to perform the order of operations; known as relay logic. 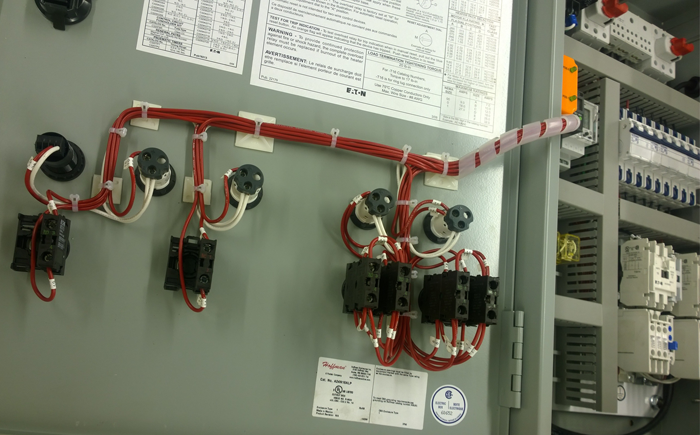 The customer decided relay logic was their preferred option, based on the requirement that in-house technicians diagnose and troubleshoot issues. Therefore we used several small, yet robust IDEC relays to get the job done. Wastewater from across the campus is collected in a tank at a central location, then relies on the mechanical float process to kick off discharge out into the public sewer system. ECC installed an ultrasonic sensor with a 4-20 signal above the tank. The sensor sends an ultrasonic pulse down to meet the surface of the wastewater. It then bounces back to the sensor and provides an accurate depth of the wastewater, providing an extra level of reliability on top of the duplex pump station mechanical floats. The sensor installed by ECC communicates with a Red Lion meter, programmed to vary when the duplex pumps come on, and how long they run. The Red Lion meter also communicates with the Building Management System to let technicians know immediately if any issues arise. The meter enclosure is rated at NEMA 4X. This means that the meter is completely water proof, can be used in direct sunlight and is a more cost-effective electronic control solution. Additional sensors, installed on the duplex pump control panel, detect wastewater flow through the sewage pipes. Abnormal measurement returned indicates that a pipe is clogged or leaking. ATC timers calibrate how fast the alarm kicks in, should something go wrong. Current sensors monitor the amperage load on each pump to detect pump problems. This serves as a good early warning system to protect against a failing or aging pump. 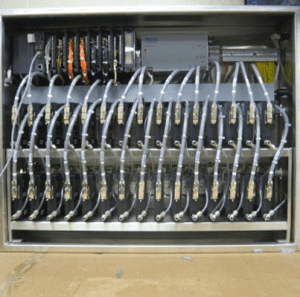 The wastewater pumps were designated by the client as “mission critical.” So ECC added redundant power feeds into the duplex pump control panel. Now, if power drops in one feed, the ATC voltage monitors detect it and Eaton Cutler-Hammer contactors would switch power feeds. The duplex pumps, designed to operate in a load-balancing manner, are switched on and off by Eaton Cutler-Hammer contactors as well. When one pump is not enough, then the second kicks in. When the duplex pump system runs, each pump is switched between being the lead and lag pump, controlled by another ATC component. 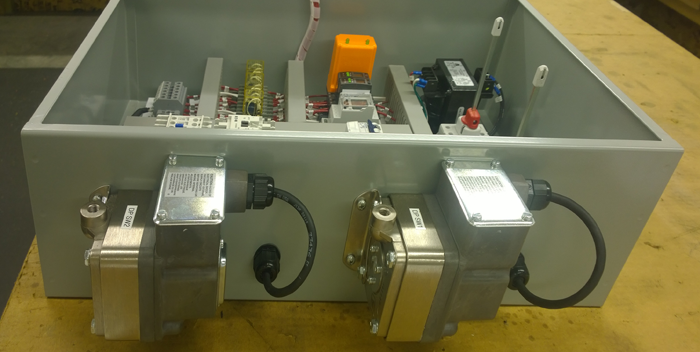 When all of the components were installed and configured properly, the entire system was then calibrated on-site and confirmed to be fully operational prior to the ECC team leaving the premises. 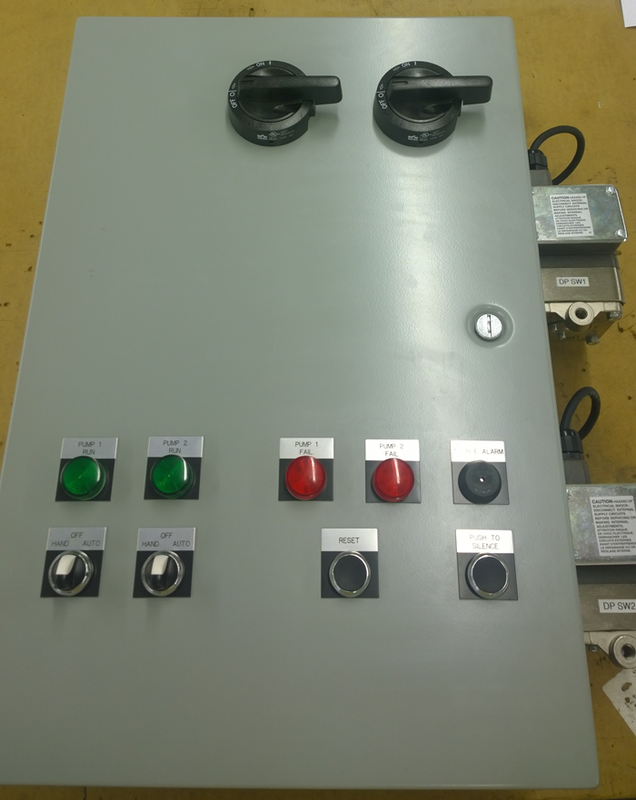 This new duplex pump control replaced an antiquated and hazardous wastewater pump system, critical to servicing a multi-building campus with thousands of workers. 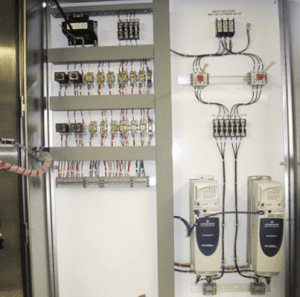 With modern electronic control technology, it now runs with far more fail-safe efficiency, greatly reducing the amount of time and resource allocation to troubleshoot, fix and maintain the system. It also ensures that risks of hazardous-related failures are greatly limited. 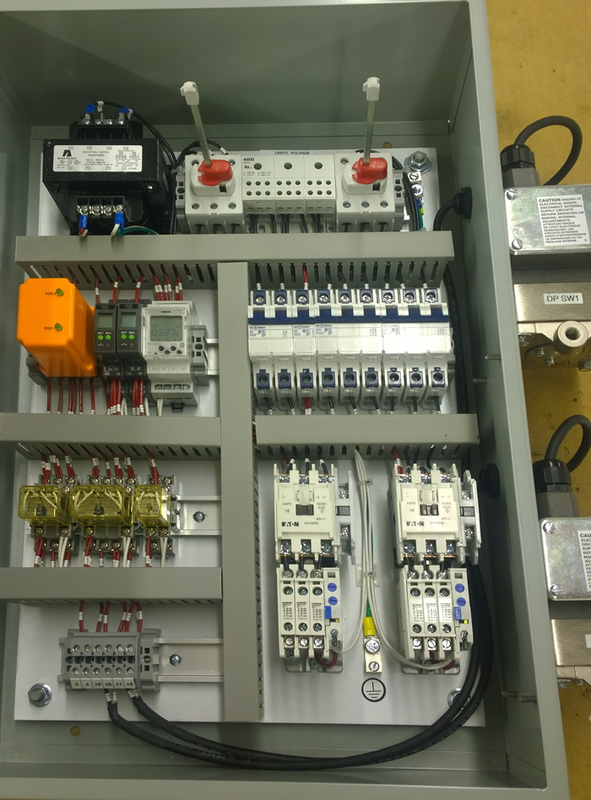 In need of a customized electronic control system?